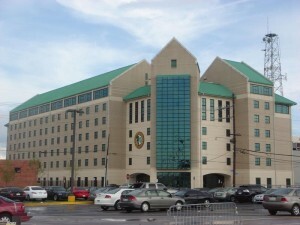 Commercial roofing requires specific skills, knowledge and capabilities. Not all New Orleans roofing companies can provide these. JOI Roofing has the experience, expertise and quality you need, regardless of the size, scope or type of project you require. Our contractors are industry experts, and we’re proud to provide our clients with the widest range of roofing solutions available, including metal roofing, custom metalwork, copper roofing and much, much more. Big Project Size and Scope? No Problem. At JOI Roofing, we’re proud to supply New Orleans businesses with the roofing installation, repairs or custom work they need, regardless of the size and scope of the project. We’ve completed immense jobs and small jobs, and we bring the same quality, care, professionalism and expertise to each job, even those other companies would consider “minor”. We understand there’s no such thing as a minor roofing job – they’re all important. From the images below, you can clearly see that JOI Roofing has experience with a broad range of roofing systems and commercial buildings, including multi-tier roofs, large-scale metal roofs and steep pitches found on many of the city’s historic buildings and churches. 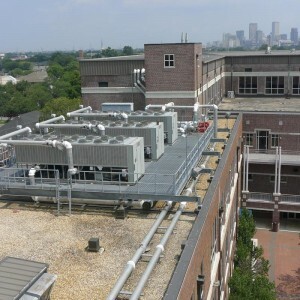 We believe that when it comes to commercial roofing jobs in New Orleans, experience is an important asset. JOI Roofing has experience with every roofing system in use, and can ensure that your business gets the ideal solution for your needs, budget and location. We can provide new construction roofing, but we also offer installation of new roofs on existing buildings, as well as repairs for roofs damaged by storms or through age. We’re very proud to offer New Orleans businesses the widest range of commercial roofing solutions possible. We offer standard asphalt shingles, of course, but we also provide metal roofs (which can last far longer than asphalt shingles). However, our skill with metal does not end at installation – we’re also capable of custom metalwork, which ensures that you receive the ideal roof for your specific building. We don’t do cookie-cutter solutions. Custom work is available in sheet metal, but we can also provide custom copper work for ornamentation and beautification of your business. We’re not limited to repairs and installation, though. We understand that businesses have a variety of needs when it comes to roofing, and we are capable of meeting all of them. From infrared scanning to emergency services, full inspections, annual maintenance and more, JOI Roofing is your single source for the highest quality commercial roofing in New Orleans.